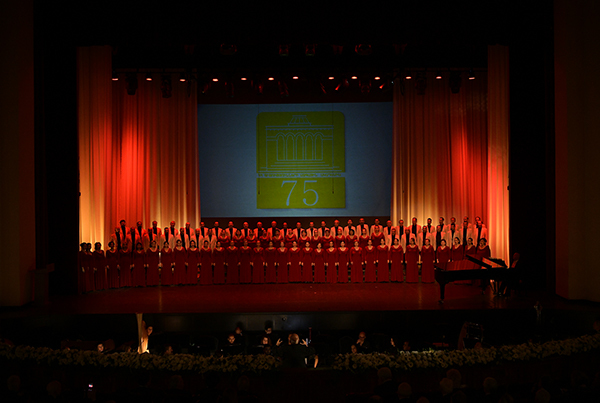 The 75th anniversary of the National Academy of Sciences of the Republic of Armenia (NAS RA) was held in Yerevan on 17 and 18 October 2018. 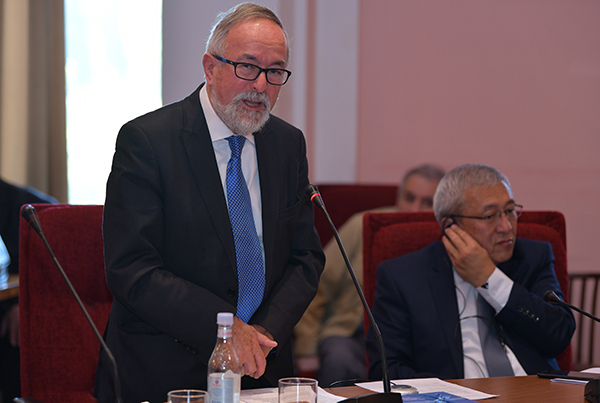 ALLEA was represented by its Vice President, Professor Graham Caie. 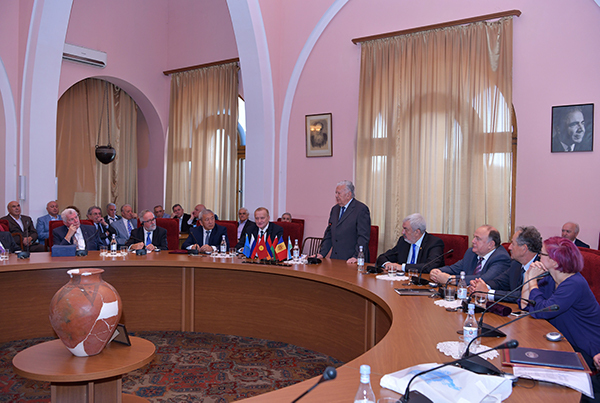 Professor Gheorghe Duca, President of the Academy of Sciences of Moldova and member of the ALLEA Board, also attended the event. 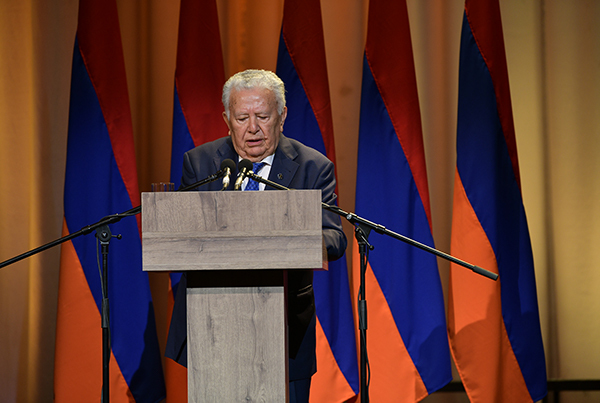 Many of the high-ranking foreign delegates in attendance delivered congratulatory remarks and gifts at the impressive Praesidium Building to the academy’s President Professor Radik Martirosyan and his colleagues. 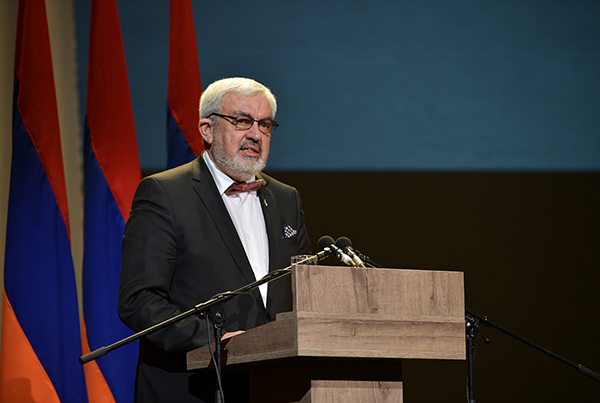 The National Academy of Sciences of Armenia promotes and carries out fundamental and applied research in a wide variety of scientific fields, and it further coordinates research throughout Armenia with more than 35 scientific institutions and 3700 researchers, including 87 academicians. 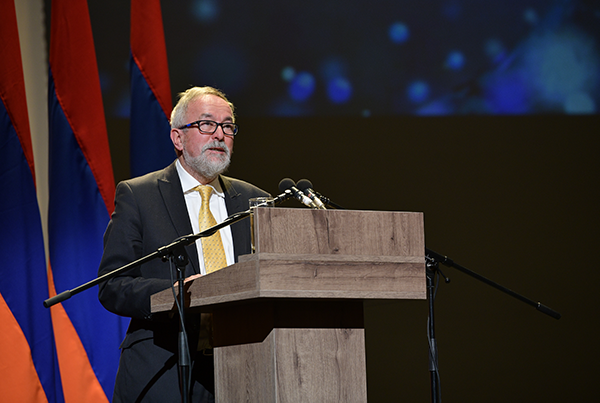 The NASRA exhibition of its institutions and research centres showed visitors the breadth and high quality of research in Armenia. 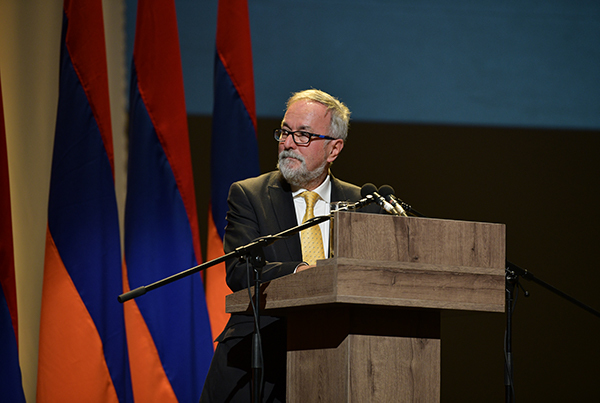 The Prime Minister of Armenia, Nikol Pashinyan, visited the exhibition and exchanged ideas with the visiting delegates on the important role of the NASRA in the advancement of science in Armenia. 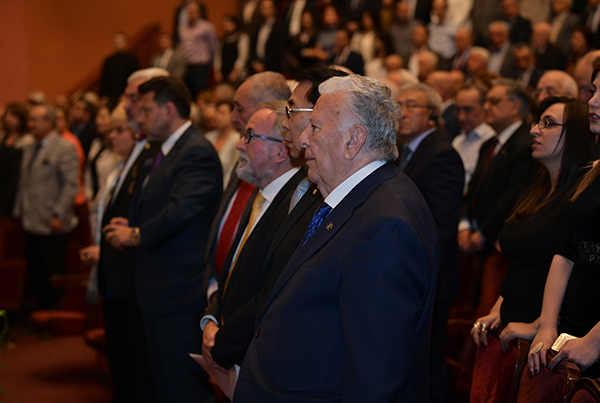 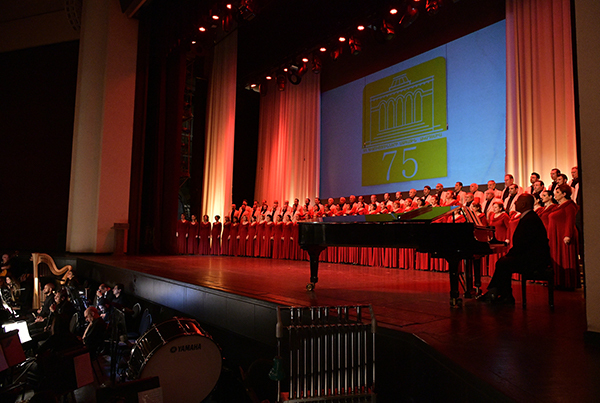 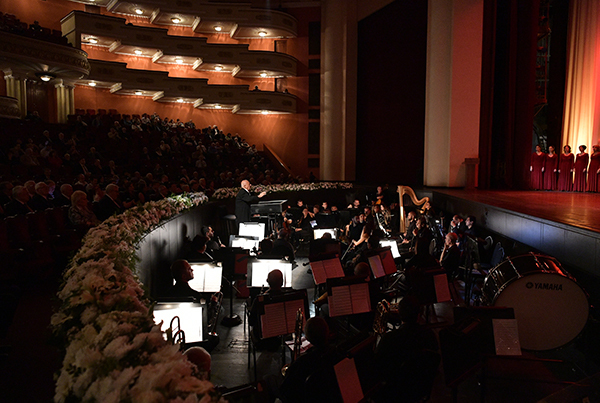 The climax of the celebrations was a Jubilee Session at the National Theatre of Opera and Ballet, with a concert that was preceded by speeches by the President of Armenia, Armen Sarkissian, President Martirosyan and others invited speakers, including Professors Caie and Duca.